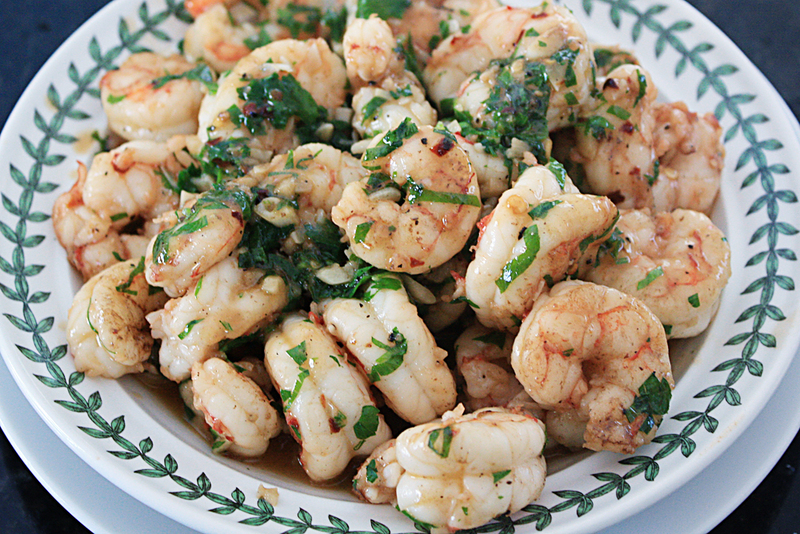 I’m hard pressed to think of a dish that isn’t made better by adding sautéed shrimp. This is a super simple way to make them that is fresh and delicious. You’ll like. I promise. 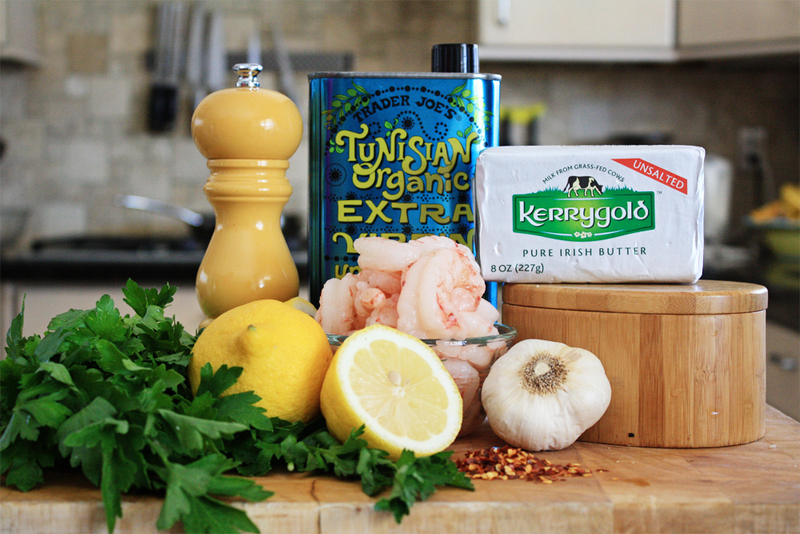 All you need for the shrimp are olive oil and butter, garlic, lemon, parsley, red pepper flakes and salt and pepper. Add shrimp and season with salt and pepper. Sprinkle on the garlic and red pepper flakes and sauté for 2-3 minutes, or until shrimp are juuuuust opaque in the center when you cut them. Careful not to overcook them! 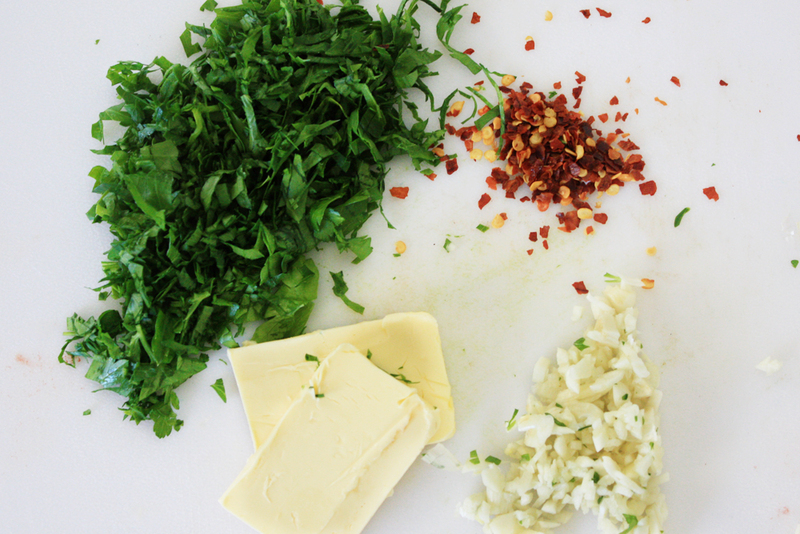 Once they’re done (and not overdone) add the parsley, lemon juice and second tablespoon of butter. Stir to coat and serve. You can eat them straight out of a bowl with your hands if no one’s there to judge you. Or you can add them to your favorite dish. Like pasta. Or orzo salad. Melt olive oil and 1 tbsp butter in a large frying pan over medium high heat. 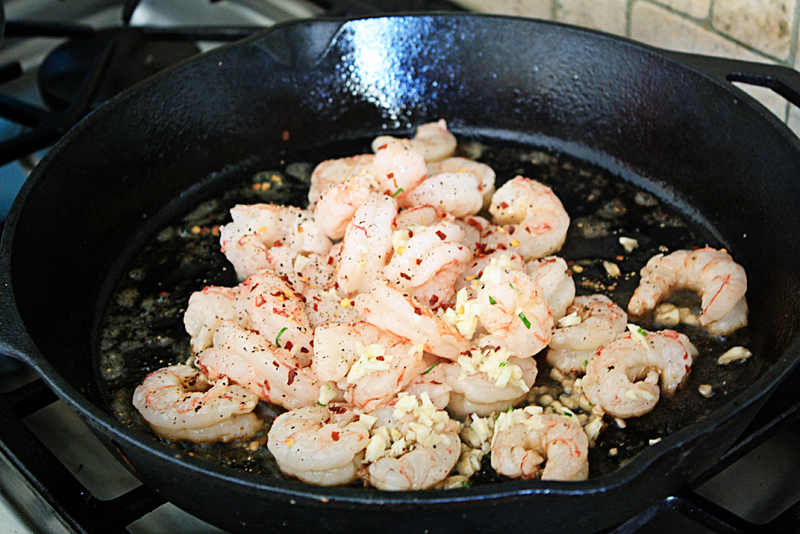 Add shrimp and season with salt and pepper (and red pepper flakes, if you dare). Sprinkle the garlic over the shrimp. 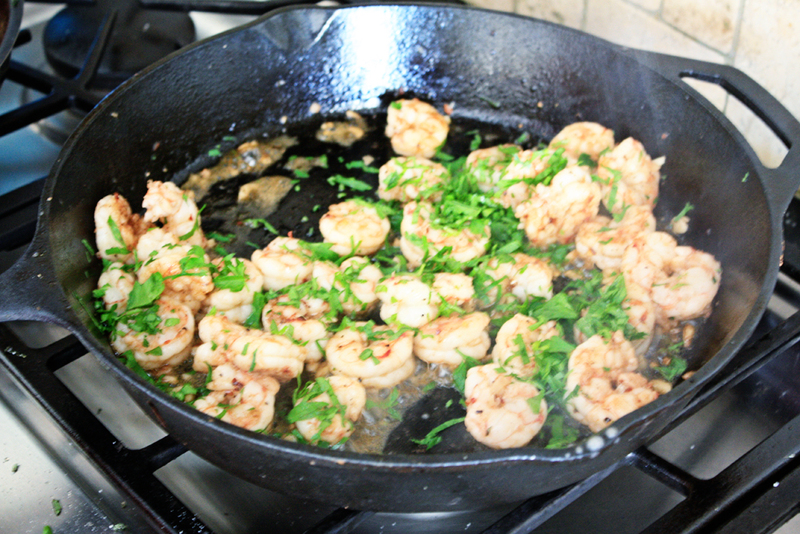 Saute for 2-3 minutes, turning shrimp half way through. Be careful not to overcook the shrimp. They should be just opaque in the center when you cut into them. Add the lemon juice, parsley and the second tblsp butter. 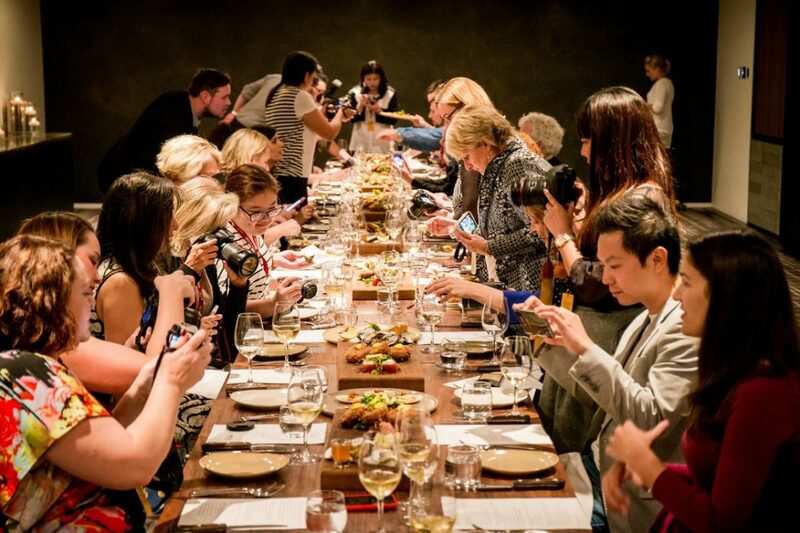 Stir to coat and serve.